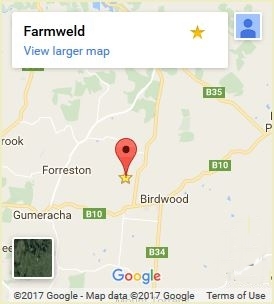 People often approach Farmweld about dog friendly gates. The running joke in the workshop is to ask “is it a Jack Russell” as more often than not this particular breed is the Houdini of the dog world. Quite often though, thecustomer’s brief is just that they want to keep a dog in, off the road. No matter what the reason, the design should be safe. Keeping the behaviour of dogs in mind, the gate should limit gaps where paws can become trapped, or sharp points where they can impale themselves should they try to jump. Even the most well behaved dog may try to jump a fence or gate if it’s scared enough, e.g. during storms and fireworks. Dog safe gates needn’t be boring, a simple wrought iron flourish takes this design up a notch. Click to view the ‘wrought iron gates’ gallery or make a time to meet with us and design your own unique gate. 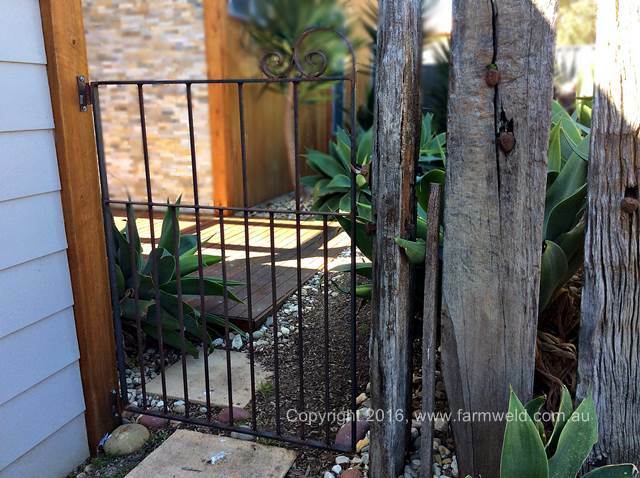 Posted in: Gates, News, Testimonials & Case Studies, Wrought Iron. Tagged: dog proof, farm gates, french provincial, garden gate, gates, heritage gates, personal access gate. ‹ I want to buy a Wisteria arch!